One great thing about London is that it loves a good pop up. Every night of the week there is practically a new pop up somewhere that will get everyone racing down. 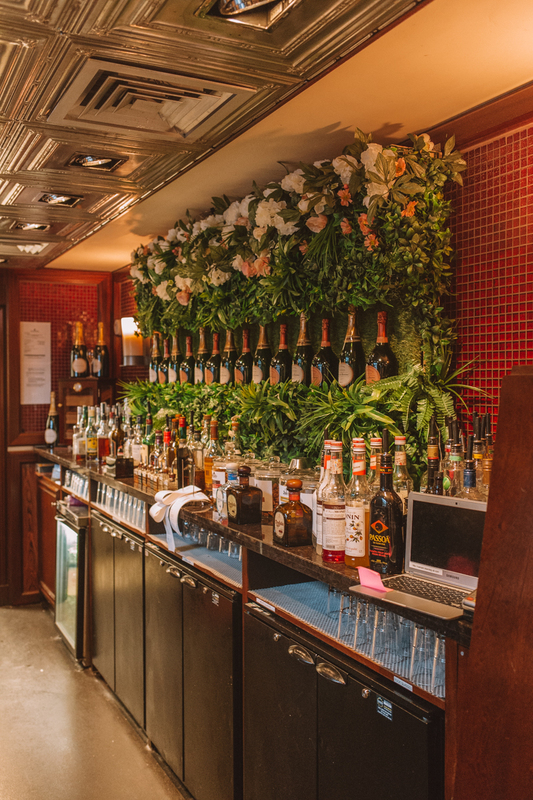 We’ve had a hallumi cafe, an avocado restaurant, and now theres a Laurent-Perrier bar. Ah my love for Laurent-Perrier continues. Regular readers will know that it has been my favourite champagne house for many many years now. 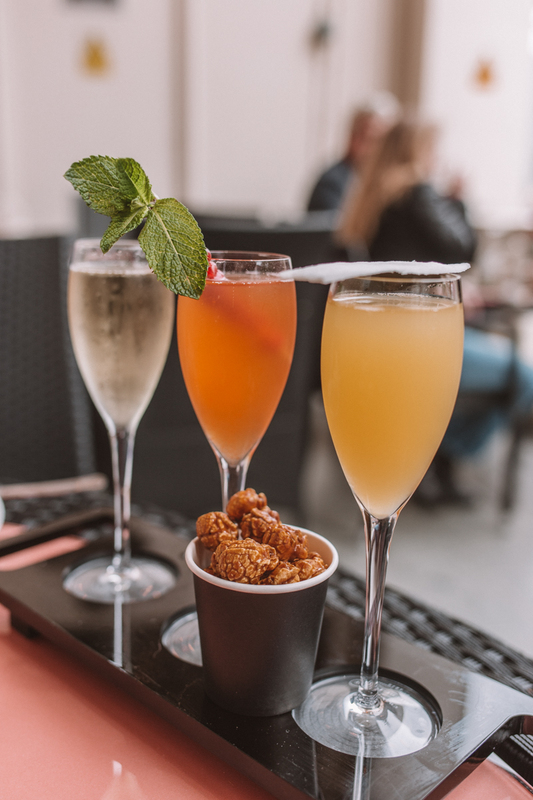 Birthdays and celebrations are always accompanied by a bottle… or two. Which is why I had to head on over to their new summer garden pop up at Icon Balcony Bar. I had actually never heard of Icon Balcony Bar before, but it’s right in the centre of Leicester sure over looking the fountain. The bar is part of the Empire casino, but you’ll feel worlds away from a casino. The pop up represents a summer garden. With soft “grass”, deck chairs and of course plenty of flowers. The day we went it had been raining in the morning and was still quite grey, however we decided to still sit outside as honestly what is better than sitting out on a terrace drinking champagne? Plus they do offer you blankets if you think you might need one, although after this weekends weather, I’d say that won’t be necessary. The balcony terrace is a cute little space, with fairy lights strung up and flowers wrapped around the balcony. 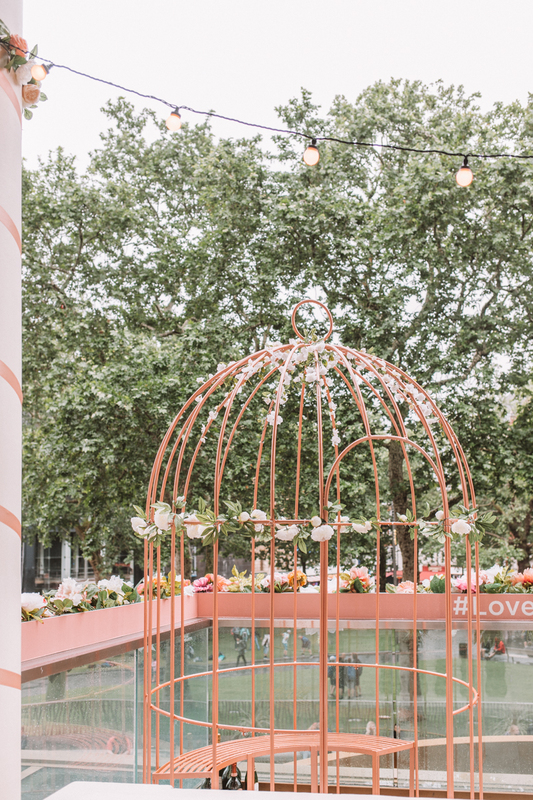 But the most striking and of course, photogenic piece is the huge pink birdcage that sits on the balcony. 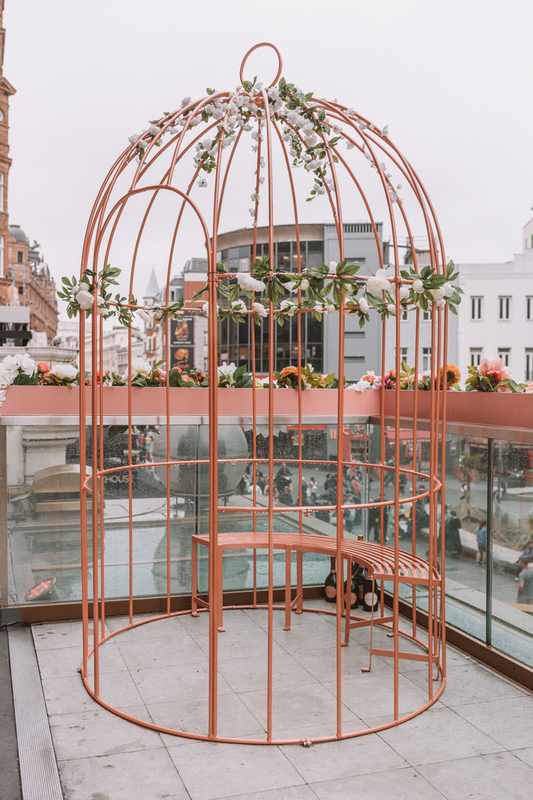 The birdcage represents Laurent-Perrier as it is part of its signature style. The birdcage is actually a small seat for 2 although again as it had been raining sadly I didn’t sit down in it. But onto the main event, the Laurent-Perrier. 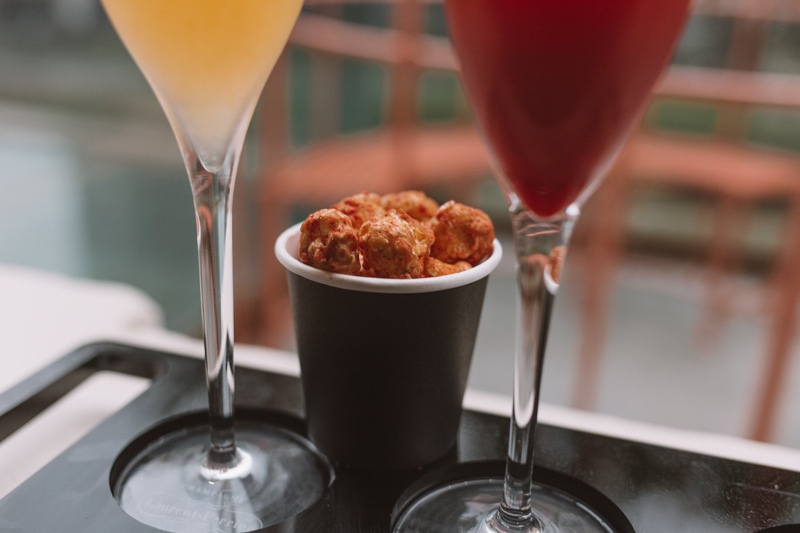 So the deal is, 1 glass of Laurent-Perrier Cuvée and 2 Laurent-Perrier cocktails of your choosing, with some paired popcorn by Joe and Seph for £23. 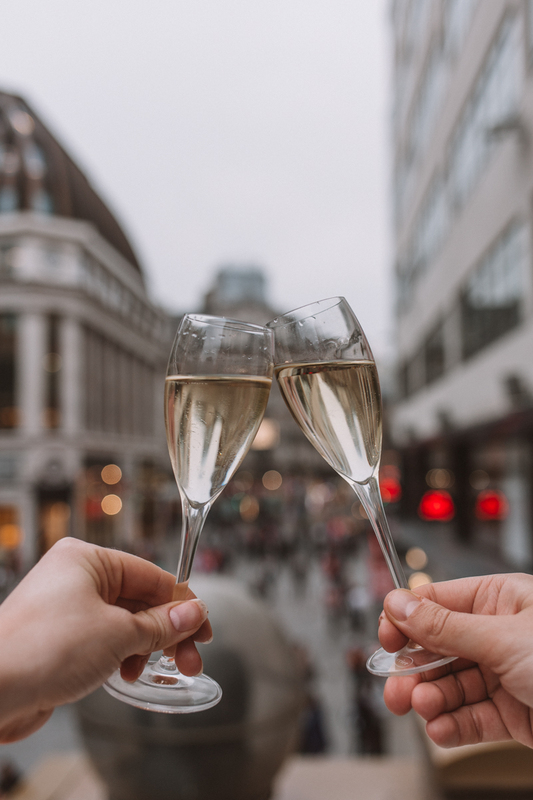 £23 for three Laurent-Perrier champagne drinks is great value as you’d usually pay about £14 a glass for Laurent-Perrier. I decided to go for Amaretto, cherry, lemon, blackberry as I love cherry, and Hendricks, elderflower, apple, passion fruit as it sounded so refreshing. 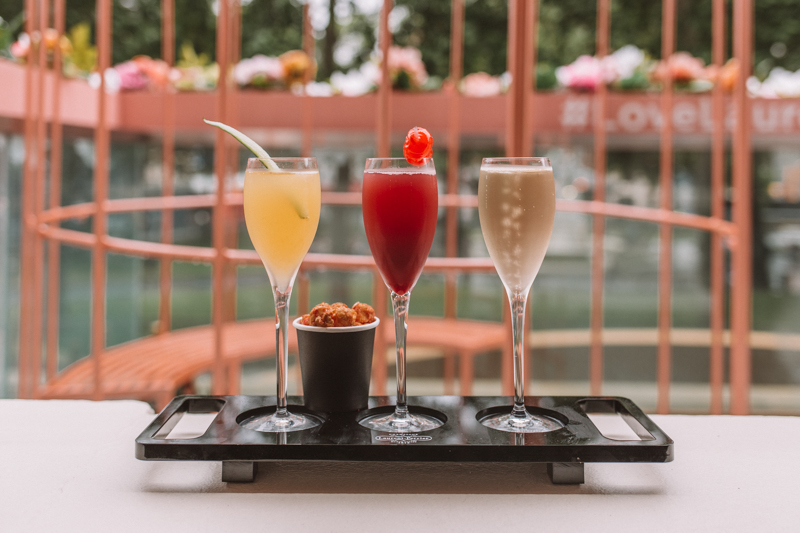 The cocktails are on the sweeter side here and will certainly get you into the summer mood. My paired popcorn was Eton Mess and never having had Joe and Seph before I was quite impressed. They are an award winning gourmet popcorn company and having tried the Eton Mess flavour which was delicious I can see why. I could also certainly have ate another pot so thats validation. I naturally had a sip out of everyones drinks, for research purposes of course. Most of them were delicious and actually my favourite of the night was the Monkey 47, lemon, violette, sage, pomegranite, rosemary drink. Who would have thought that one would have been the winner? But honestly it's so refreshing. Although sadly I’d say maybe don’t order the cherry cocktail which is a shame as I love cherries, however it was incredibly tart and did actually taste just of cherry juice. For me it was too overpowering. With all those drinks flowing we decided to order a platter. 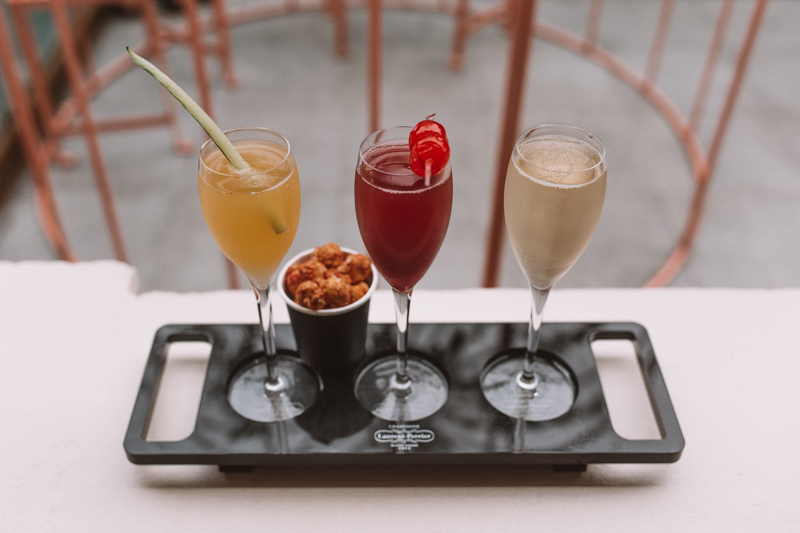 The platters aren’t strictly part of the pop up and are from the regular bar menu so some might not think chicken wings and champagne go together, but I beg to differ. 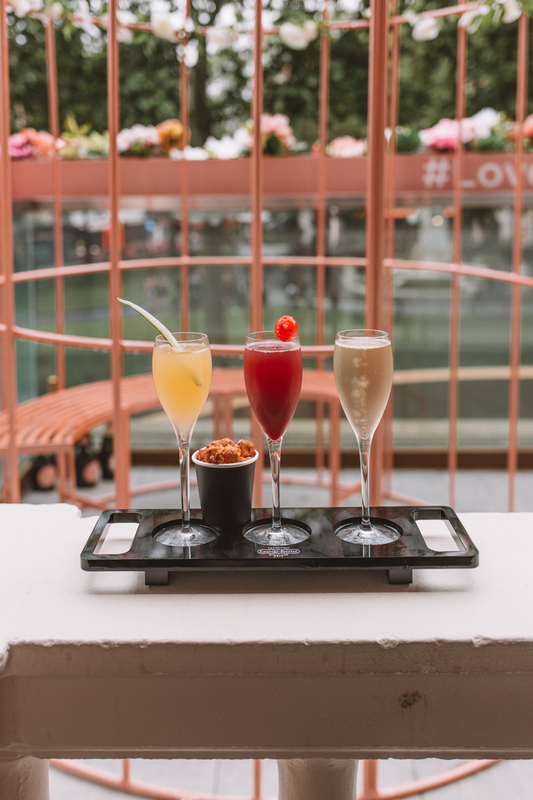 The balcony terrace is a great little venue, and I’d definitely recommend sitting outside, and with the weather we’ve been having this weekend, it would be the perfect summers day treat. Tickets can be booked on Design My Night now until end of July. What a lovely little pop up! 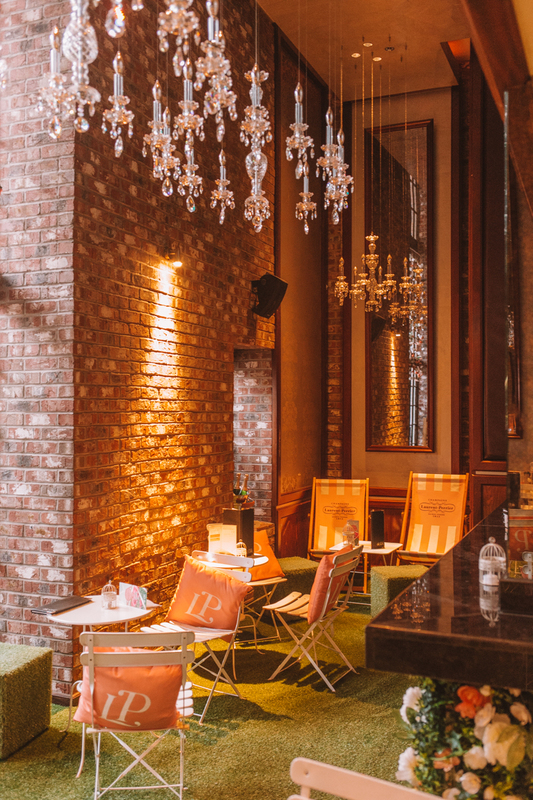 I love the look of the decor, and the cocktails sound delicious. 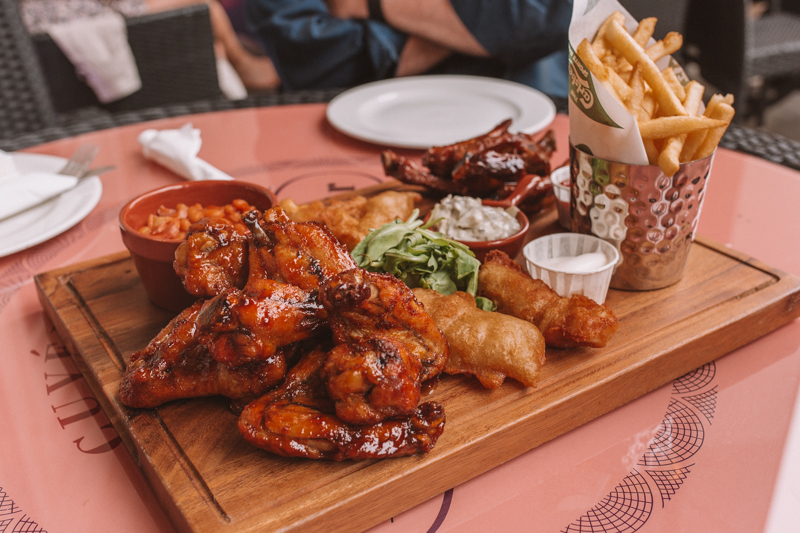 A sharing platter is asbolutely the way forward as well! ;) The view is lovely too! I love the pairing of the bubbles with the popcorn! Yum. And sounds like really good value too - perfect for a girls afternoon in town I think. 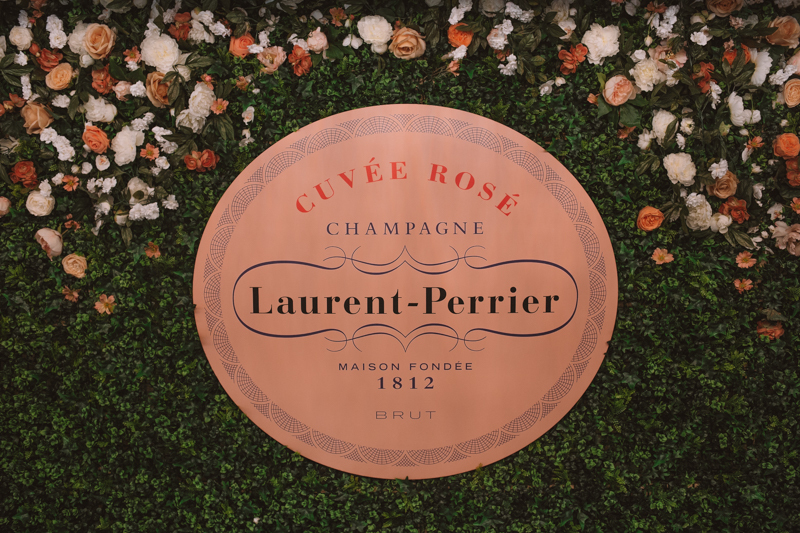 A Laurent-Perrier bar! How fabulous! And the deal for £23 actually sounds like great value!